I don’t say this with excitement or a genuine desire to display my undying love for this series. This book sucked. There; I said it. 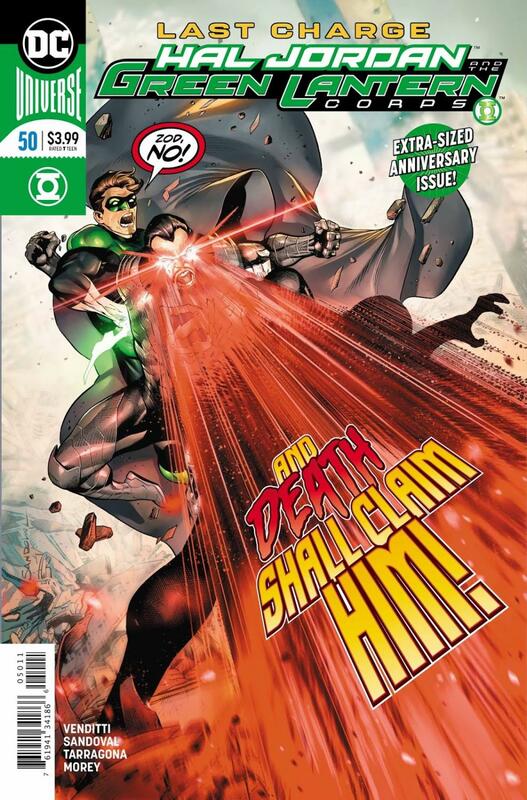 This was a poorly paced, or rather embarrassingly paced, title that did nothing to contribute to the Green Lantern Corps while also, as I have put it in the past, systematically ripping off readers with every passing issue. The severely intense recap and non-endings will make for an interesting read in trade form. I can only imagine someone excitingly picking up the first few volumes of this run as some schmuck online was glowing about it, only to read it and have every issue recap the events of the last in the first few pages with groan-inducing dialogue. That’s something I’d love to see. I say this because this is the final issue of this series. As far as I can remember, Robert Venditti has been writing the Green Lanterns since Geoff Johns left. I’d put his run at around a very respectable 80 issues, which is genuinely an accomplishment. This issue is the perfect encapsulation of this series; it feels so much longer than it actually is, has incredible artwork from a stellar creative team, and rehashes the same beats and even dialogue from previous issues. The conversation between Hal Jordan and Tomar-Tu is exactly the same conversation they’ve been having over the course of this eight issue long arc. And it’s oversized, so it’s even longer! I really feel like I shouldn’t say much else about the story. If you want to read what I think about this issue, then I fully advise you to check out my reviews of the other issues. You’ll get the idea. The artwork is just sublime. Now that this book is over and I wish that DC will find a good place for Rafa Sandoval, Jordi Tarragona, and Tomeu Morey to collaborate again. Their art is just phenomenal and Sandoval on a monthly title will be one of the most gorgeous books being published. This book, unsurprisingly, stinks. If you’ve been reading it, then you’re part of the problem. Oh, I’m kidding. Or am I?